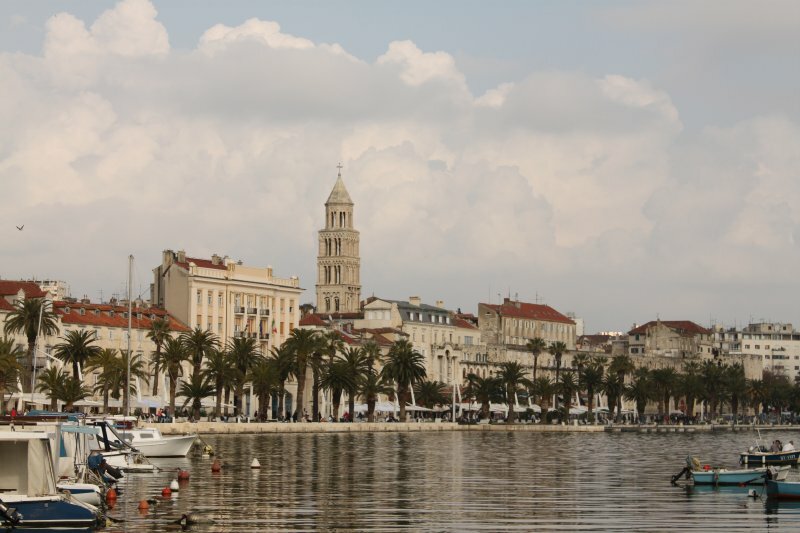 We arrived in Split on our ferry from Italy at 6am in the morning. The awakening morning slumber of the port was like a big hug from someone you love compared to the chaos we'd left behind in Italy. Cloudy blue skies kissed the perfectly still port waters ... heaven. We strolled up towards the fringe of the old town, passing market stall owners setting up for the day. Our accommodation was basically a room in a private apartment overlooking the old town and the sprawling 1000 year old outdoor market. Our hostess was like that long lost Croatian Auntie everyone should have. Despite the early hour she let us check in and provided us with some information on the town and its sights. After a nap we headed down into the hectic and exuberant market. 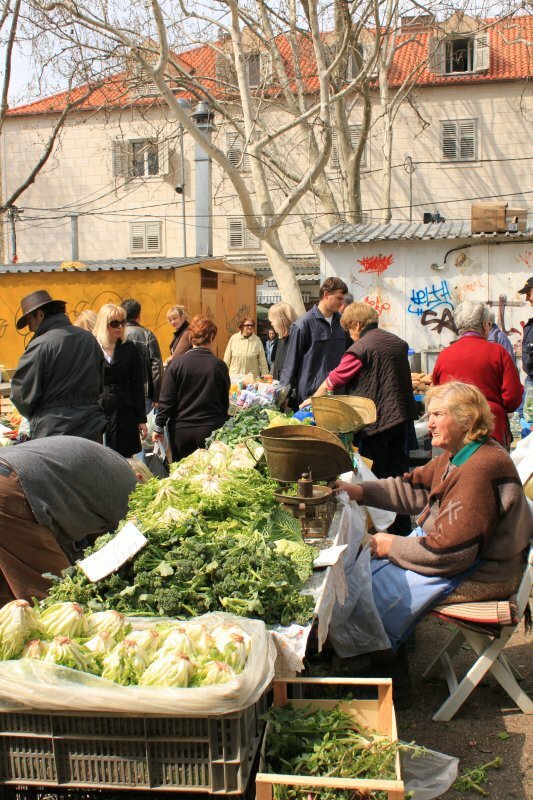 Sam had fun haggling with the feisty local grannies, selling everything from hand made soft cheeses to sauerkraut sold out of giant plastic bins. We then headed into the stunning white hued crumbling old town. 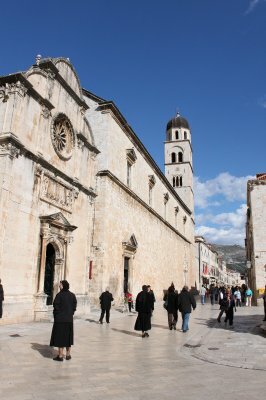 The old town consists of an amazing tangle of houses, stairs, churches and temples all sprouting out of the ancient palace built by the Roman Emperor Diocletian. 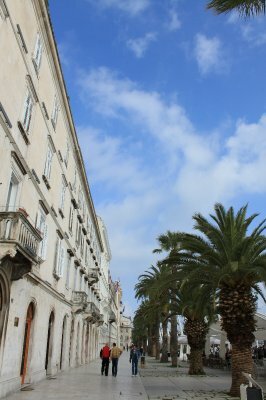 From the old town we strolled to the distinctly modernised harbourside and sat and enjoyed some dried sugared orange we'd brought at the market, while enjoying Split's calming atmosphere. 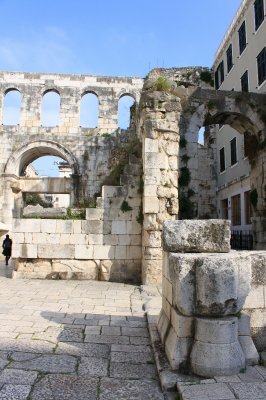 We concluded our single day in Split with an easy early dinner before heading to bed. 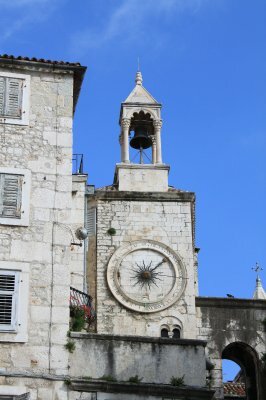 We had an early bus to catch to Dubrovnik in the morning. There wasn't one instant during the 3 hour bus ride to Dubrovnik that I was resentful about being stuck on a cramped bus. 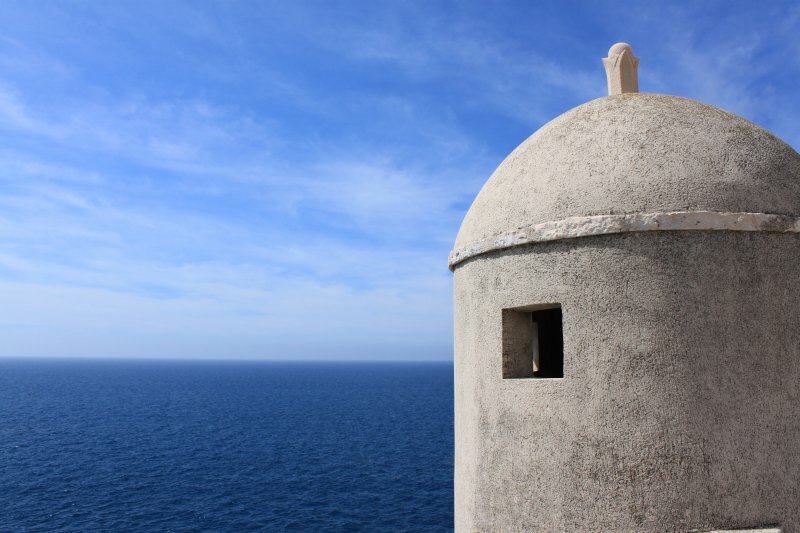 The trip along Croatia's dramatic coastline was something dream's are made of. To your left stark, grey coastal mountains tower above you, whereas to your right the road is poised above some of the clearest blue waters I've ever seen. Pine trees, vineyards and perfectly preserved stone villages sporadically dot the cliffs around each sharp turn. You definitely felt like something special was ahead. 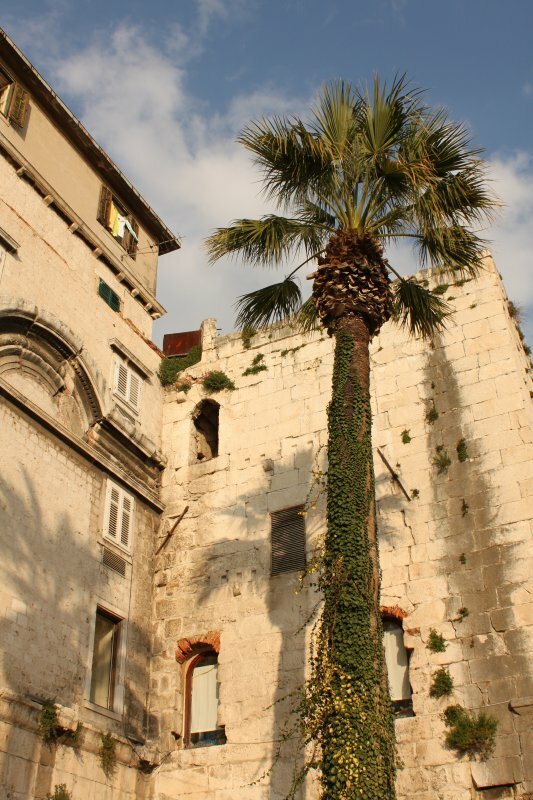 And if there was ever a more inadequate word to describe Dubrovnik, "special" would be it. Spectacular perhaps? Simply, I've don't think I've ever seen a place more spectacular. 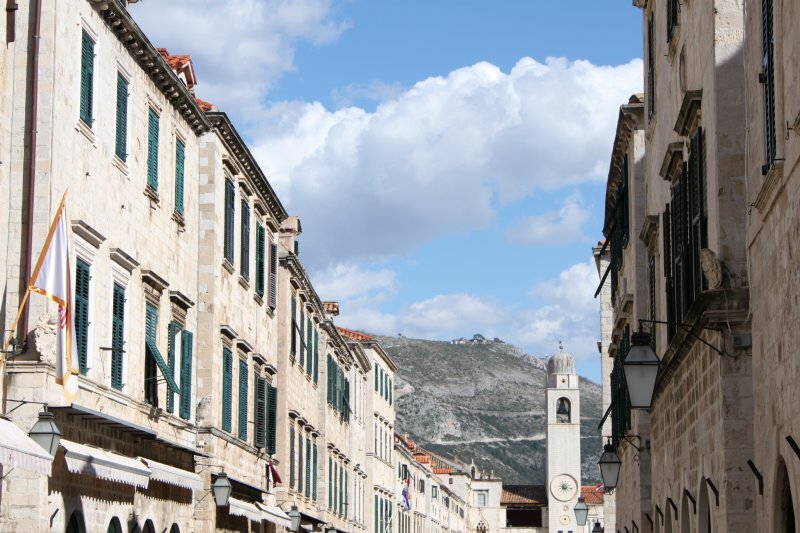 Magnificent towering stone walls protectively surround Dubrovnik, suspending in time the elegant fully pedestrianised "old town" which is refreshingly untouched by the twenty-first century. As you stare dumbfounded down the pristine white washed main street, it takes you a moment to realise the street is free of glaring shop front advertising. The only imposing colour in a sea of white are the traditional green shutters which adorn the windows of each stone structure. 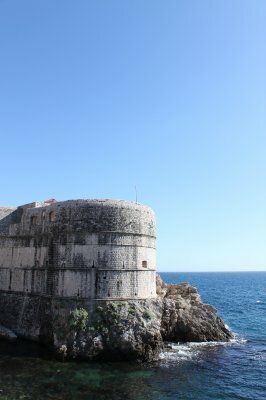 Magnificent weather greeted us for day two, so we decided to spend the day exploring the 25m high, 2km long, city walls which surround the old town in its entirety. 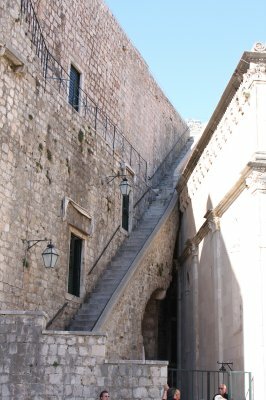 Uniform towers and domed bastions break up the endless steps of the wall walk. Each step up and down afforded you another breathtaking perspective over the town. Inside the walls is a patchwork sea of terracotta tiled roof tops which leaves you mesmerized. 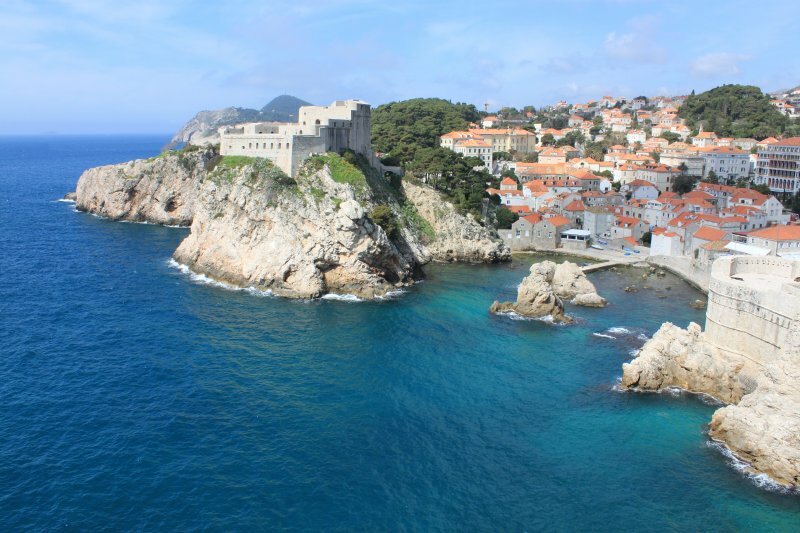 Then looking outside the walls the pristine blue waters of the Adriatic are equally as hypnotizing. It was hard to know where to look. I've simply never seen anything so stunning, and I doubt I'll ever top it. 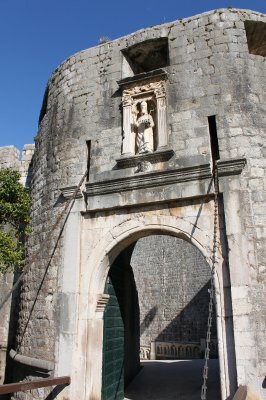 The city walls walk was a huge highlight of our trip and we left Dubrovnik so thankful for the experience. 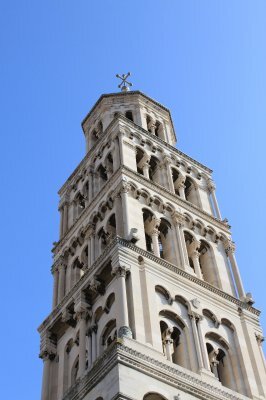 Wow, you are certainly right about the sights at Croatia. It looks beautiful! I looooove the photo of you sticking your head through the window, funny!